24 North Hotel is situated right in New Town, a short drive from busy Duval Street, the crowds at Mallory Square and the rocky beach of Ft. Zachary. While New Town is more a place of locals, tourists should also enjoy what this part of the island has to offer. 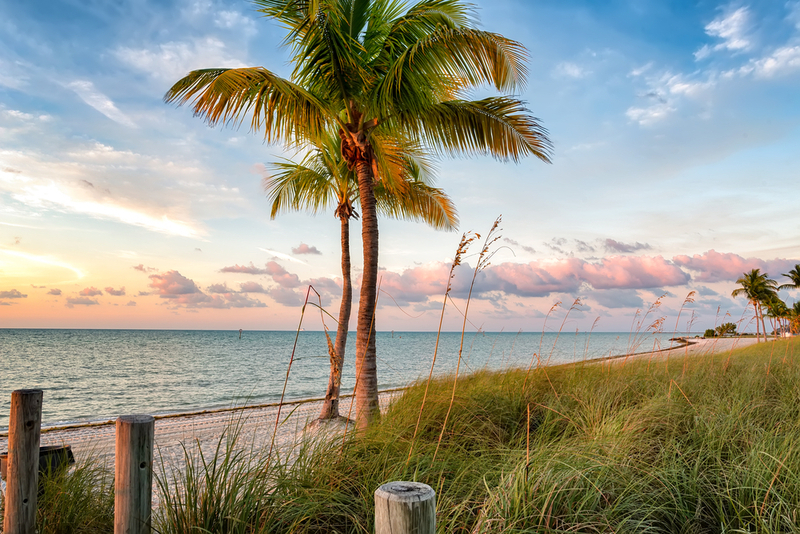 Here’s the three reasons why New Town is a great place to stay while in Key West. Have you had your fill of Duval Street? If you want a laid-back evening with a local vibe, New Town has some great watering holes and eateries to enjoy. Check out Kennedy Cafe at 924 Kennedy Drive for the best Mediterranean, Italian, Greek Turkish AND Uzbek food in Key West. Also on our list for a fantastic breakfast before you head out for the day is Goldman’s Bagel Deli located at 2796 N Roosevelt Blvd., and the Key Plaza Creperie for a killer brunch. And, a Smather’s Beach favorite is the food truck with the best view of the island, Leila’s Latin Food for some authentic latino flavors. Ask anyone: Smather’s is the best beach on the island. Smather’s Beach is sandy and not rocky like the beaches further south.The views are breathtaking and you can easily spend the whole day away from the noise. Smather’s is located less than three miles from 24 North. Also, check out Sunset Watersports, where you can rent out paddle boats, catamarans, beach chairs, umbrellas and more at a reasonable price. Visit their website here. New Town is regarded as a local refuge from the noise of Old Town, and if you find yourself needing a walk through nature, New Town has hidden preserves of multiple ecosystems all within a small area. For real Florida habitat, check out the Fran Ford White-crowned Pigeon Preserve, which is a favorite for bird watchers. Also, Little Hamaca is 10 acres of salt ponds and more, which also preserves 4 ecosystems that are unique to Florida. Also, if you want to really take it easy, enjoy a drink poolside and leave the rest up to us. We have a Starbucks on site, as well as bar and restaurant Toasted Coconut. Ready to book your stay? Check out our special offers here.